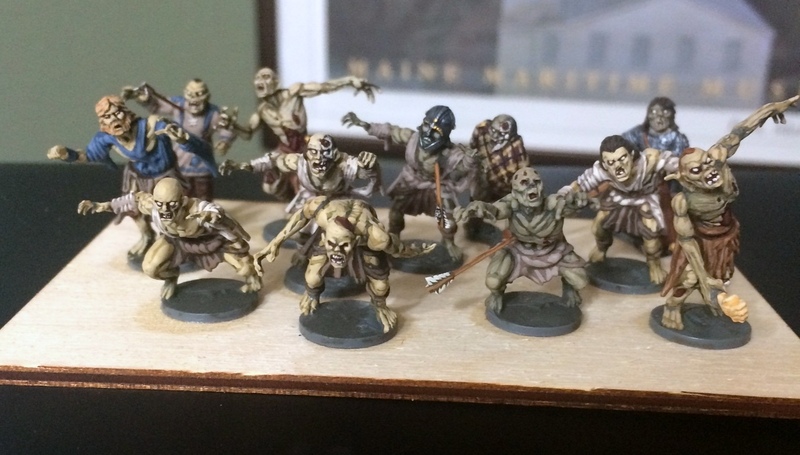 Just a quick post to show my first unit of zombies that will be part of my undead army for Dragon Rampant. These will go together with the undead units shown HERE. The bulk of the figures come from Mantic Miniatures Kings of War range, but I wanted to make them conform better with the Arthurian Age world of my historical miniatures. To do that, I’ve added a few bits and pieces from some other figures I have, mostly from the Gripping Beast plastic range. I wanted to have a few helmets, swords and clothing from some of the various nations of that period, but I tried not to go overboard with it. You be the judge of whether it works or not, and I do welcome critiques. 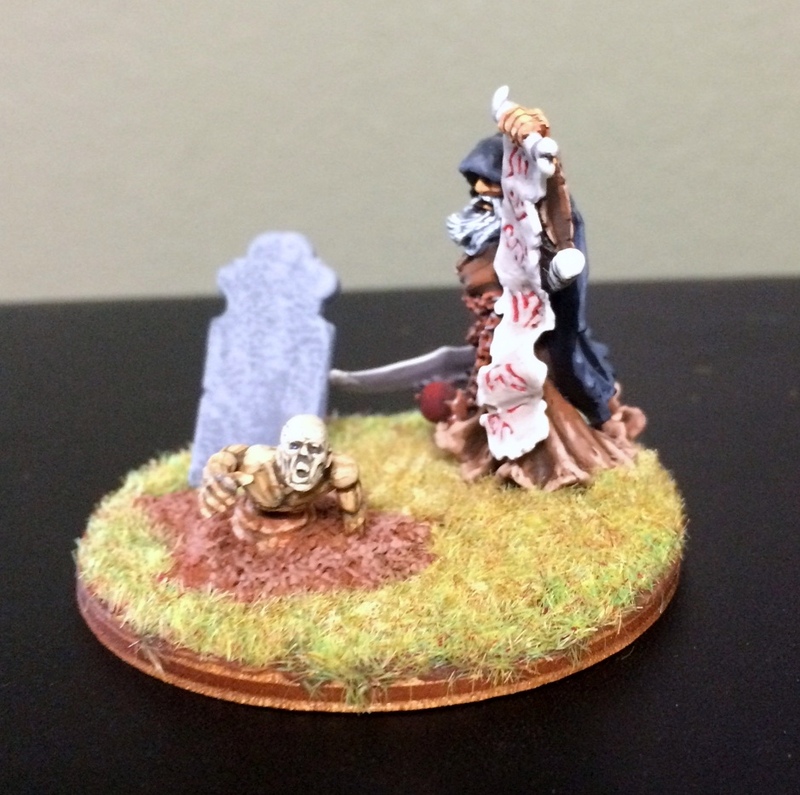 I’m also using the same basing scheme as my historical armies, although obviously this one still needs to be flocked. 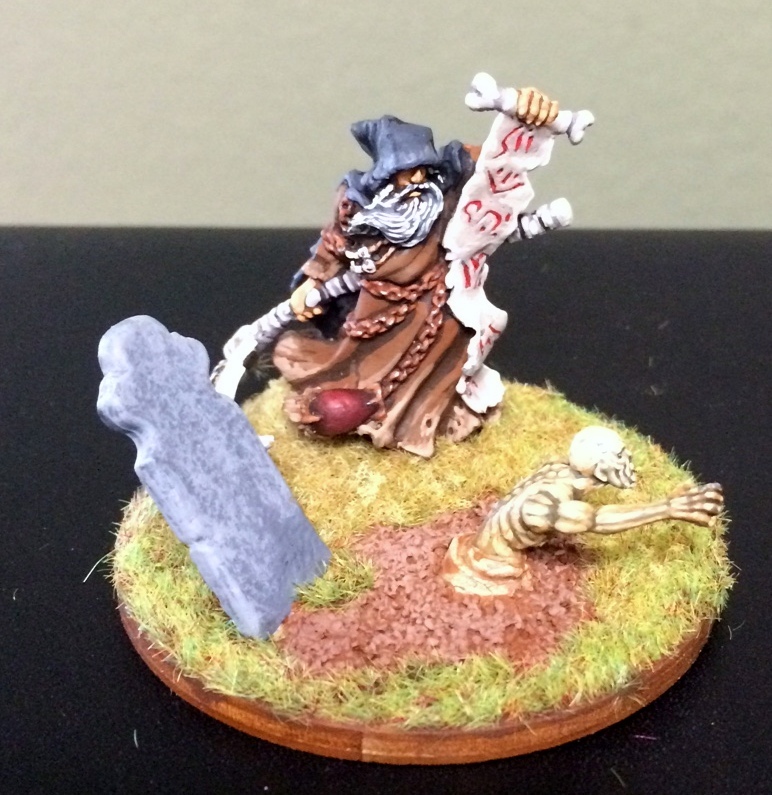 Also, here is the necromancer from the last post. This time, finally based. 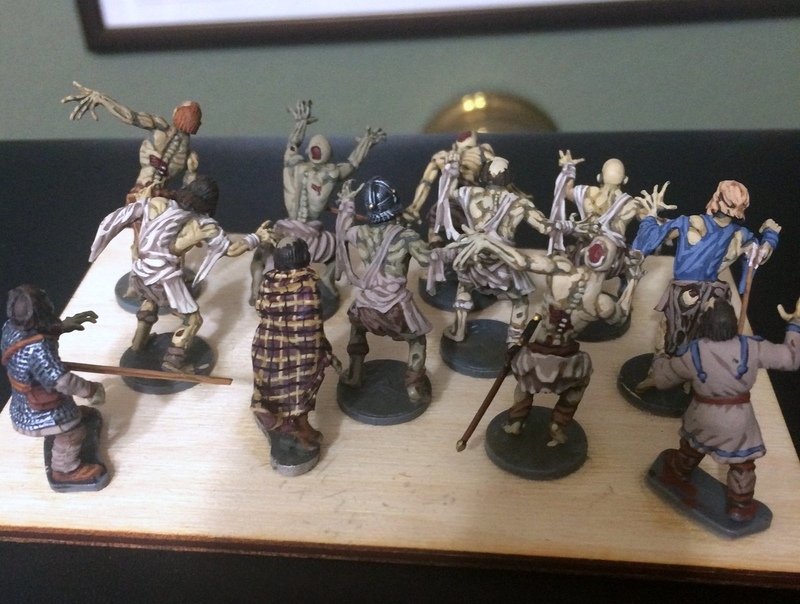 If you’re playing DR, this little army will have the necromancer (Heavy Missiles + Summoner, Single-Figure Stand), three zombie units (Ravening Horde + Fear), and the vengeful spirits from last post (Elite Foot + Flying, Reduced-Figure Stand).